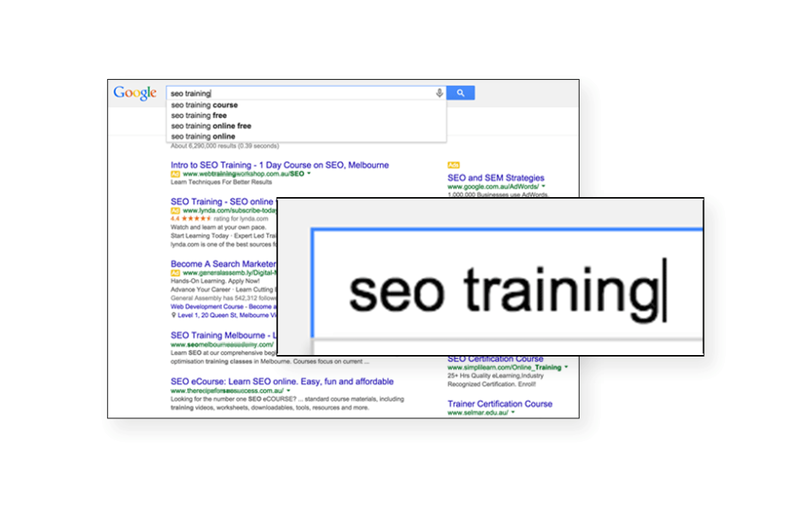 SEO training is a sought after service and something I get quite a few email questions about. There a few companies offering SEO courses in this space, but most of them are aimed at beginners or offer some sort of online learning component. I’ve had lots of people comment on why they think it’s the case – ranging from “it’s not rocket science,”, “SEO is dead” to “you can’t teach SEO”. Competitive search is a challenging field and there is a gap for skilled people that want to learn SEO. Over the years I’ve delivered and attended quite a few courses within Australia and there aren’t many options aimed at more experienced online marketers or developers – that fill that gap. And because things change so quickly, it’s not as if you can easily produce a course outline and deliver it – it needs to be *constantly* updated and much of what you’re training needs to be customised. A developer needs a much different course outline than an experienced marketer. I’m using these as extreme examples, but you get the picture. Is There Such a Thing as Free SEO Training? Yes, there is. But most people don’t necessarily need ‘SEO’ training, they need help with other aspects of their website, marketing or business. A little background first. In 2005, as a side project after hours, I kicked off my own SEO training courses (called SEOWorkshop.com.au). I quickly found out that there’s a lot more to “teaching SEO”, mainly because the people that wanted the training had all sorts of backgrounds, ranging from experienced industry professionals to small business owners who wanted a DIY approach. Some worked in big teams and some flew solo. Quite often, they were getting traffic, but their sites weren’t converting or their expectations of what “SEO” was needed a reality check. Fast forward many years later, the Melbourne SEO Meetup is now a thing. It was started by David Iwanow – and now run by myself, Michael Jones, Peter Mead and Saijo George. Each month we see a new pool of members come along to learn about SEO. They enjoy the content, but it’s usually a little bit advanced for someone not working in search. So late last year, the organisers and I offered to run some beginner sessions before the main Meetup – SEO 101 type of content, where the members could feel free to ask basic questions. The feedback has been very positive and they’ve been happening for around a year now! I know this sounds like a plug for the SEO Meetups, but they’re totally free events, there aren’t any pitches and aimed at professional development for the community. The newcomers usually always walk away with a much better understanding of what SEO and how to improve their websites. Of course there’s a big gap between a beginner and someone that’s been doing this their whole career. But we all need to start somewhere! Meetup.com lists all sorts of events that come in all shapes and sizes, so I recommend finding one that fits your groove. SEO has such a negative connotation, people immediately think of spammers, black hat rubbish and Google voodoo. Some people (even in the tech space) are generally surprised to hear that there even is an “SEO Meetup”. Since I’ve been taking the beginner SEO sessions, it’s amazing (and rewarding) to see how quickly people change their opinions of the industry. I’ve created this page for something I can point people to looking for more information on where they should head next if they want to learn more about SEO or hunt down some free SEO training. The more experience you in development, marketing or related fields, the easier you’ll find learning about search technology. Some of the best search professionals I know have a good mix of marketing and development, it’s not a common mix, but it’s something that if you’re dedicated, you can learn. I’ll build and expand on this list in the coming weeks and months, but the emphasis of this page is on community and free SEO training so it’s accessible to as many local people as possible. There are lots of people selling their services and courses, and while that’s great – it’s not for this page. I’m only listing free physical events (no webinars) that are held in Australia. If you’d like to submit a community event, please get in touch with the details and I’ll add it here. I’ve already been asked about training events in other states, I’ll put something together on that too since there are similar events in other states.